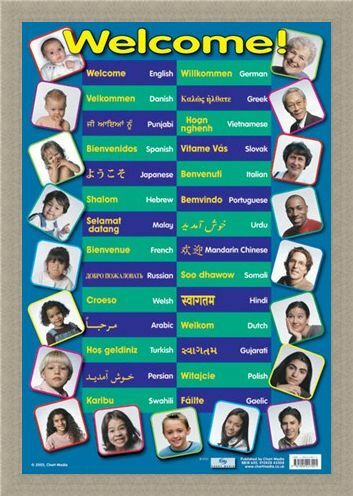 Educational Mini Poster: Karibu, Croeso, Bienvenidos, Benvenuti, Welcome, to this stunning educational languages poster, perfect for all ages and all nationalities. 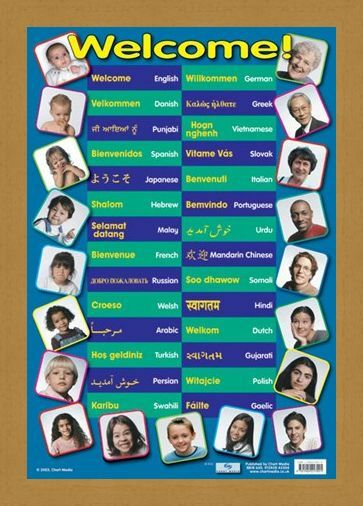 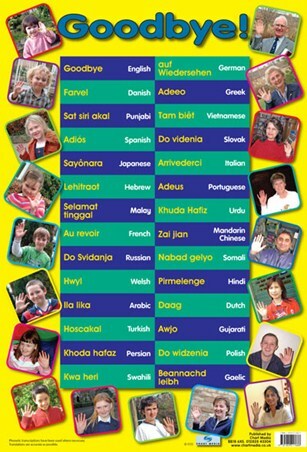 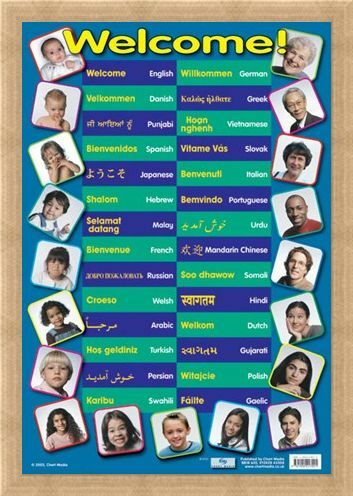 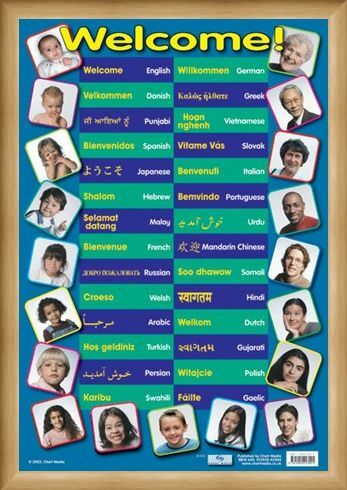 You and your child can learn how to say "Welcome" in 28 different languages with this fun poster that is full of life. 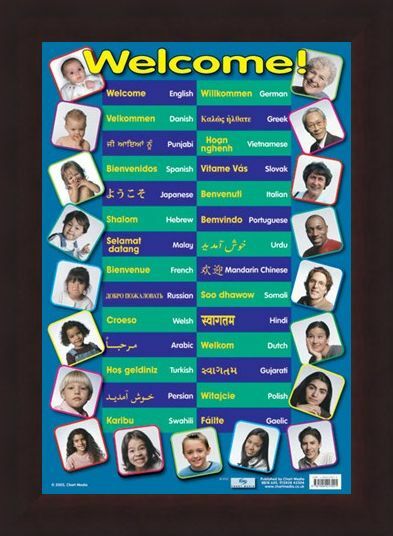 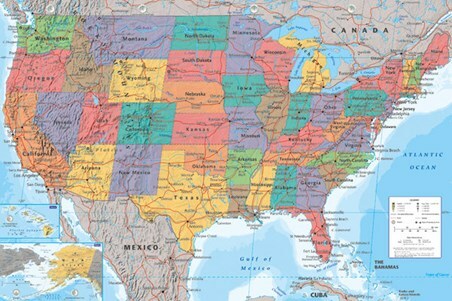 Around the outside of the poster are images of people growing from a baby to an old lady, all of different nationalities with their own individual personalities. 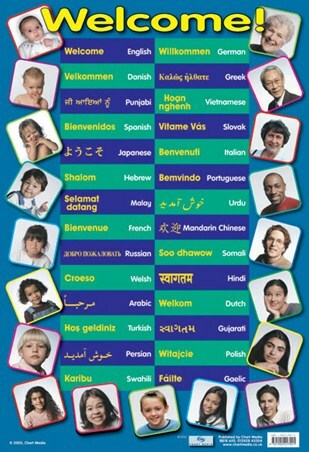 In the centre of the poster is the word chart which illustrates how to say "Welcome" in languages including, Greek, Italian, Spanish, German, Punjabi and Hebrew. 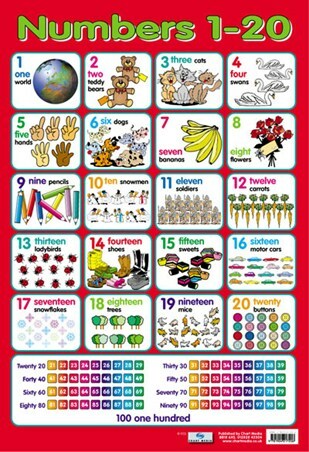 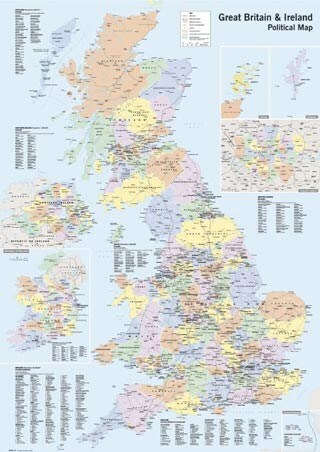 Learning is made fun with this stunning educational poster that is sure to keep you and your children entertained! 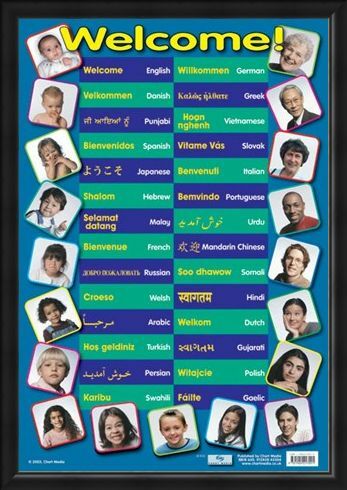 High quality, framed How to Say Welcome!, In 28 Different Languages mini poster with a bespoke frame by our custom framing service.